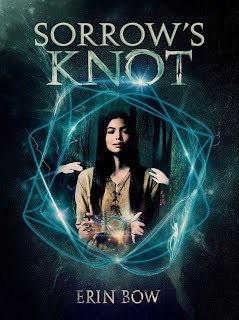 As I'm sure a lot of you guys know, Sorrow's Knot by Erin Bow releases tomorrow. Today I have Erin on the blog to talk about the games that children play. In the world of Sorrow’s Knot, the dead do not rest easy. Every patch of shadow might be home to something hungry and nearly invisible, something deadly. The dead can only be repelled or destroyed with magically knotted cords and yarns. The women who tie these knots are called binders. Otter is the daughter of Willow, a binder of great power. She’s a proud and privileged girl who takes it for granted that she will be a binder some day herself. But when Willow’s power begins to turn inward and tear her apart, Otter finds herself trapped with a responsibility she’s not ready for, and a power she no longer wants.